Ethiopia: EPRDF should ditch democratic centralism to avoid a civil war – Satenaw Ethioopian News & Breaking News: Your right to know! (OPride)—When Ethiopia’s current rulers deposed the communist dictatorship of Mengistu Hailemariam in 1991, they promised to usher in a new era of democracy. Over the last 27 years, the platform of the incumbent Ethiopian People’s Revolutionary Democratic Front (EPRDF) alternated between revolutionary democracy and developmental state. But its guiding political principle, known as democratic centralism, remained the same. It is a communist organizational policy that keeps the vanguard party under the central command of one oligarchy. In Ethiopia, for more than quarter a century now, on key economic, political and national security questions, the buck stopped with the dominant member of EPRDF: The Tigrayan People’s Liberation Front (TPLF). Democratic centralism is used to shackle and get member parties inline with TPLF’s diktats on key regional and national strategies. No dissent from the party’s dogma is tolerated. Troublemakers were shamed and criticized at self-correction meetings or purged. This was the case during the 2001 TPLF split. Differing from the party line on strategy can brand one a chauvinist, narrow nationalist, or neoliberal often based on the ethnic background of the offender. Whenever the opposition puts up a serious resistance, TPLF used the military and the intelligence services to crush them. This is how TPLF was able to reinstall yet another brutal dictatorship in Ethiopia in the name of democracy. As we look ahead to 2018, even amid positive inclinations from Oromia and Amhara states, TPLF, which represents a mere 6 percent of the country’s population, remains firmly in control of the military and intelligence services, the sole guardians of its supremacy. EPRDF has been in closed meetings for the last 15 days. If, that’s a big if, the party is to transform the country via a bloodless revolution and short of civil war, it must start by unshackling regional satellite parties. Democratic centralism is widely associated to Vladimir Lenin who wanted to subject to himself every discussion in his socialist party to save wastage of time and to secure the unity of action. Lenin summarized the principle as “freedom of discussion, a unity of action.” He believes in a free discussion by members of the socialist party but asserts decision should be given by a centralized body. However, after the Russian Revolution of 1917, in the face of foreign invasions, economic collapse, and a brutal civil war, the term took on an increasingly authoritarian form. 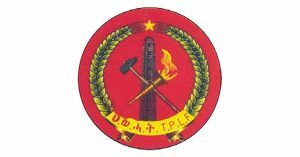 TPLF, a Marxist-Leninist group formed in 1975 to fight for the liberation of the Tigray people, borrowed this philosophy when it set its sights on ruling the country. Up until they took over the reins of power via western support, TPLF leaders swore in the name of communism. At the end of the 1980s, TPLF constituted EPRDF as a vanguard party using democratic centralism as its organizing principle despite the collapse of the communist bloc. Thus, different satellite parties were formed for each ethnic group to expand the Tigrayan sphere of influence. The four parties in the EPRDF coalition were made to have equal representation irrespective of the total population of their constituent regions. That was not enough. Not only did TPLF run the vanguard party from the beginning but it also assigned, directly or indirectly, leaders of the three-member parties. A noteworthy case is a removal in 2005 of former speaker of parliament, Abadula Gemeda, from the regional presidency in Oromia against the unanimous opposition from members and cadres of the Oromo Peoples’ Democratic Organization (OPDO). As the result of this naked dictatorship, TPLF indirectly claimed 100 percent of votes in parliament, consequently monopolizing the entire government apparatus. In effect, a minority party established to separate the Tigray region from Ethiopia took a grip of the country. Democratic centralism is contradictory in terms. Democracy is not centralized by its nature. It is an antithesis of centralism. Indeed, TPLF and almost all the rebel forces that flourished in Ethiopia in the 1970s revolted against a centralized political power. The idea of democracy is about empowering the people who are peripheral to power. Democracy is essentially compromised when decision-making power is centralized. This is particularly true in federations where different interests negotiate for a common goal. In Ethiopia, democratic centralism was pioneered by TPLF leaders in conjunction with ethnic federalism. Under the federal experiment, nations and nationalities in Ethiopia are said to be sovereign and have the right to self-determination. Interestingly, this blend of democratic centralism and ethnic federalism produced a wicked political formula. On the surface, officials declared the top-down structure of the imperial era is gone and power is decentralized to the nations, nationalities, and peoples of Ethiopia. The people exercise their right through their elected representatives. However, the seemingly decentralized political system is commanded by democratic centralism and leaders of the dutiful member parties. The marriage of democratic centralism and ethnic federalism gave birth to a hidden hand that works for one center, i.e., TPLF. Under the Ethiopian version of democratic centralism, TPLF loyalists and ethnic Tigrayan dictate policies from the center to all levels of decision-making bodies. Until his death in 2012, former prime minister Meles Zenawi, who in addition to being the commander-in-chief of armed forces served as the chairman of both TPLF and EPRDF, sat at the top of the pyramid. Every institution in the country at federal and regional levels are run by cousins from Tigray — if not at the helm of the institution via a powerful deputy who calls the shots from behind. Loyalty over competence; manipulation over patriotism; recklessness over responsibility, and selfishness over national interest became the rule of the day. TPLF agents resorted to doing anything that makes money. Even though some hoped for change after the death of Zenawi, the hidden hand was so entrenched in the system that EPRDF decided to continue with the legacy of the dead leader. Ethiopia’s military and the intelligence sectors are often deployed to protect TPLF’s economic and political dominance. The military is under a sophisticated edict of former TPLF rebel commanders. The intelligence sector is likewise dominated by members of the same party. These two institutions are often used for schemes such as planning trumped-up criminal charges against dissidents and to instigate intergroup conflicts. Intelligence officers are funded to design criminal cases, train witnesses, and prepare documents to incriminate opposition groups, their members, and sympathizers. It is so common to see witnesses at criminal benches testifying against prominent opposition leaders they cannot even name or tell apart from other inmates. Ethnic clashes are a profitable business for top military and intelligence officials. When I visited the Borana Zone of Oromia in 2010, local elders told me of a common practice in the conflict-prone areas: cattle robbed from warring ethnic groups are “recaptured” from alleged robbers by members of the military, and then sold on distant markets such as Adama for their benefit. Interethnic conflicts are also used for divide and rule purposes. When TPLF faces mounting resistance, the intelligence officers create conflict between various groups and show up as arbiters of peace. Ironically, they tell gullible donors the people of Ethiopia will finish each other if they are not there to keep the peace. Conflict may also be instigated with the intention to divert local leadership from TPLF’s illegal businesses. This a typical case of the ongoing crisis in Oromia. Three years of sustained protests have stifled the TPLF system. TPLF has decimated any meaningful opposition in Ethiopia using its control over the judiciary, intelligence and legislative. Absent any constitutional venue to rectify their grievances, the people of Ethiopia have resorted to civil disobedience to resist Tigrayan hegemony. The military and the intelligence continue to use their old tactics against peaceful protesters. Trumped up charges and instigation of conflict continue at an alarming rate. They continue to infiltrate peaceful protesters to incite ethnic violence. The military continues to shoot dead peaceful protesters in a broad daylight. When all these failed to stop the resistance, in October 2016 EPRDF declared a state of emergency suspending the right to assembly. People defied this desperate measure as well. It is amid this standoff between the change-hungry mass and TPLF-led government that some regional leaders started to echo the demands of the people. In other words, popular resistance gave birth to heroes within EPRDF members. OPDO leaders have denounced the killing of their innocent civilians, and publicly blamed the proliferating illegal businesses of TPLF affiliates. For the first time in the history of EPRDF, a member of the coalition stood up to TPLF bullying. In clashes between the military and the protesters, the Oromia police sided with the people. It started to crackdown upon illegal businesses of TPLF agents. In the meantime, a similar trend was emerging further north in Amhara, the second largest ethnic group. OPDO took further steps and formed a budding alliance with the Amhara National Democratic Movement (ANDM), the other EPRDF member. Facing pressure from their own constituents, ANDM welcomed OPDO’s invitation to join arms. Now OPDO and ANDM leaders are positioning themselves as the saviors of Ethiopia, challenging TPLF’s one-time unquestioned hegemony. The EPRDF executive committee is meeting under such dire circumstances. Not much is known publicly about the agenda or its possible outcomes. But what comes out of EPRDF’s gathering is critical for the country’s peace and stability. Move the national army back to its barracks and border areas of civilian streets where they continue to harass and kill innocent people. The regional police are enough to maintain domestic peace and order. Any security situation beyond the capacity of regional police must be handled following appropriate constitutional protocol. Abandon the democratic centralism principle and replace it with proportionally shared democratic leadership. To do that, EPRDF can start by removing TPLF generals from key military and intelligence positions. This is a crucial first step to ending Tigrayan supremacy, which is the primary cause of the current crisis. Ethiopia’s military and intelligence services have been the most secretive agencies in the country. For instance, to this day, the people do not know how many Ethiopian officers are in Somalia, nor do they know how many of them died there. No one knows when the army will be back home — if ever. The army is out of reach even for elected members of the house of people’s representatives. The same is true with the intelligence services. The people of Ethiopia do not even know who leads the intelligence service. He does not report to parliament. Most MPs do not even know what kind of ethics the institution abides by. It is time to make the military and the intelligence services accountable to the public. Over the last 27 years, Ethiopia has experienced the untold mass atrocities and human rights violations for which no one has been held accountable. It is high time to bring to justice perpetrators of these atrocities and put in place mechanisms for ending impunity for future abuses. EPRDF has no room for dissenting voices. Any opinion deviating from the party line is often met with harsh measures. Even Facebook updates that criticize TPLF can land one in prison. All serious opposition leaders are sentenced to long prison or are awaiting never-ending trials. In order to heal the pain and agony of Ethiopian people, EPRDF should unconditionally release all prisoners of conscience and respect the right to freedom of expression. One of the conflict hotspots TPLF is using for divide and rule purposes is the contested border between the Somali and Oromia regions. In order to liquidate this malicious plan, EPRDF should respect the results of the 2004 referendum held to settle the dispute. The hundreds of thousands who were displaced by the fighting should be rehabilitated or returned to their abodes. Similarly, the people of Wolkayit should be given the chance to decide which State should govern their area. Finally, EPRDF must open up the political environment, allow a free press and start a comprehensive dialogue with all opposition parties. I hope TPLF leaders will concede to the mounting internal and external pressures to allow transformation to democracy. But if it elects to maintain the status quo by arresting, replacing or assassinating OPDO and ANDM leaders, or declaring yet another state of emergency, it will meet a bitter end. The choices are clear. There is still time to make right. The TPLF is using its security apparatus and the military as if they are servants of a mafia boss. They are used as instruments of atrocious repression to instill TPLF’s motto of conquer and plunder. There is no government in Ethiopia, none that abides by the minimal ethics of governance, except as a mimicry in front of their foreign backers and financiers. The TPLF bosses and their instruments of repression know no law or ethics. Supplication is misplaced here. The wild beast can not tame itself!